The Olympic Games have that Christmas feel to them. The expectation of something exciting, the long build-up to that, then in a flash it’s all over. On January 1st, one of the first tweets I read simply said, ‘It’s Olympic year.’ That was exciting. The 2016 Rio Olympic Games | A spectacular backdrop for sport. For me the Rio Olympic Games were superb. The much maligned Brazilian’s, suffering an intense and prolonged economic downturn, were wonderful hosts. Despite the difficulties, they put on a great show, as good as London and Beijing were, in my opinion. The Games went off without a hitch on the field. Off the field there were some transportation hiccups, but Rio isn’t alone when it comes to that. And of course, Rio had its share of controversies. Even before the spectacular opening ceremony, the Australian team managed to disgrace themselves with constant whinging and complaining, insulting the host country. Nothing was good enough for them, yet everyone else simply fixed anything not woking and got on with it. Things only got worse when their athletes got into trouble for forging accreditation papers and held behind in Brazil. The press, of course, deliberately went looking for stories in a city renown for it’s divisions, muggings and hold-ups. Yet, it was a couple of American swimmers lying about being accosted, who redeemed Rio by proving the world’s media were way too eager to believe fiction over fact. On the water it got choppy which meant delays in the rowing program, which was no one’s fault, despite media blaming Rio. What they never mentioned was the anomaly of holding the summer Olympics in the southern hemisphere winter – for the benefit of the northern hemisphere nations. Sure, Rio was warm enough, being a tropical climate, but Brazil, like anywhere, is still prone to winter storms. For me, my Olympic focus was fixed on two sports, the beach volleyball and track and field. For the first time, I watched the games researching an upcoming John Kelly novel I wrote last year called Spiked. As I’ve said before, I’m not so keen on publishing stories set in the future. If you get it wrong, your story dates rather badly. 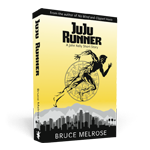 I’ve read novels were the Russian’s competed on the track in Rio (aside from one athlete, no they didn’t) or where American’s won gold medals at the Moscow Olympics (which they never attended). So with my completed manuscript, I was looking to fill in specific details to make scenes and the background canvas more authentic. I loved doing that, and was delighted that some of the outcomes I wrote a year ago actually eventuated. As to the track and field, this was one heck of a track meet on many levels. So here are my thoughts on the good, the bad, the ugly and bizarre from the blue track. The Good | Rio was New Zealand’s best medal return for a track and field team with a silver medal to Val Adams (Shot Put) and bronze medals to the World Indoor Champion Tom Walsh (Shot Put), teen vaulter Eliza McCarthy, and senior miler statesman Nick Willis, who became the only New Zealander to win two medals in the 1500m. 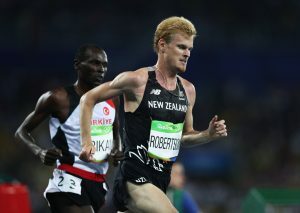 Add in a national record from Zane Robertson in the 10,000m (12th in 27:33.67) and this was our best Olympic track meet. Elsewhere there was Usain Bolt and Mo Farah ripping up the track, both of them the greatest exponents of their events, while Matt Centrowitz became the first American in 108 years to win the 1500m. In all there were 3 world records, 9 Olympic records, 10 area records and 93 national records set. Lord Coe thought that was rather good. Matt Centrowitz Jr became the first American in 108 years to win the 1500m. Defending Champ Taoufik Makhloufi got silver with Nick Willis getting bronze, eight years after his Beijing silver. The Bad | The women’s 800m, 5000m and 10,000m events. A disturbing statistic that emerged was 44% of coaches with athletes competing in the 800m at Rio are currently being investigated for involvement in drug violations. That is a very bad look, and Lord Coe won’t be so happy about that. Another bad look was in the woman’s 800m, where the CAS (Court for Arbitration in Sport) decision that Caster Semenya no longer needed to get her testosterone level down into the range for women, ruined any sense of fair play for other competitors in that event. When Caster took her meds she remained a well performed 1:58/1:57 800m meter runner, on par with the best in the world, and was still a viable gold medalist. Now Caster doesn’t have to suppress her testosterone levels, which run three times higher than woman’s levels, she’s a 1:55 runner 20-meters out in front. The hyperandrogenic argument isn’t actually about Caster, it’s about implementing parameters to guarantee a level and fair playing field for woman’s sport. Caster’s competitors spoke of their respect for her as an athlete, however Caster doesn’t have the same respect for her competitors. If she did, she’d voluntarily suppress her testosterone levels to the same level as the rest of the field. Had she, would there be any questions lingering? I’d argue no. As it is, a storm rages, and for many, her medal is tarnished. The CAS decision was always going to rob a woman of an Olympic medal, in this case Melissa Bishop of Canada. After Rio Caster gave her medal to her wife, which in eyes of her detractors didn’t help matters at all, because identifying yourself as the husband, while protesting that as a hyperandrogenic athlete you’re a woman is just plain confusing for simple folk, and they’re the one’s who judge. Caster Semenya leads in Rio. The Ugly | According to Britain’s The Telegraph, Lord Coe has indicated the IAAF will challenge CAS’s ruling which suspended monitoring of female athletes with higher than usual levels of testosterone. So, if successful, where does that leave someone like Melissa Bishop? It’s an ugly mess thanks to CAS. An uncomfortable precedent set in Rio was this situation where athletes falling over got a free pass into an Olympic final. I know I’m a lone voice on this one, but there you go. First we had Etenesh Diro the Ethiopian steeplechaser who in losing a shoe, stopped, caused a pile up on the track and then was promoted to the final along with Jamaican Aisha Praught and Sara Louise Treacy of Ireland! Charlie Grice was another. His promotion in the 1500m was highly dubious. Charlie ran a poor race, got himself into a terrible position, got crowded due to his ineptness but was ultimately rewarded with a spot in the semi’s due to being ‘impeded’. There are always plenty of DQ’s at a major championship, however in Rio, I got an impression there was utter confusion in the process, with a lot of DQ’s subsequently overturned. 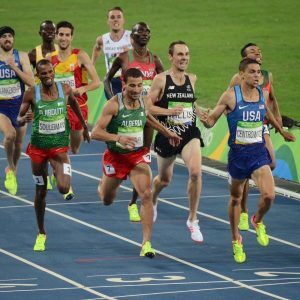 The men’s 5000m was a good example where American Paul Kipkemoi Chelimo was DQ’ed, reinstated, DQ’ed several times for stepping inside the pole line whereas the legendary steeplechaser, the great Ezekiel Kemboi, DQ’ed for the same offence, wasn’t. Very ugly. And then we had the DQ of the woman’s 4 x 100m relay team who got to run off against themselves. I was torn as to whether that was bad, ugly or both. Elsewhere we had Kenya. Only days before Rio, Kenya was deemed to have suddenly become WADA compliant, without anything materially changing from when they were non-compliant. No sooner than Kenya was reinstated, right on cue, John Anzrah reminded us why nothing had actually changed from when they were non-compliant. Anzrah was promptly caught impersonating 800m runner Ferguson Rotich, providing a urine sample for him. He was promptly expelled. Inadvertently Anzrah gave credence to a statement Zane Robertson made In the lead up to Rio. Robertson told the press he’d been approached in Africa by crooked doctors offering performance enhancing drugs, and he knew many of the top African’s doped. No surprises then that Robertson claimed his life had been threatened for speaking out. In Rio, African runners gave him the death stare for speaking up. How do you interpret that? And talking of facing death threats, we had IOC chief Thomas Bach refusing to offer any protection, or reassurance to Russian drug whistleblower Yuliya Stepanova, who uncovered state sponsored drug abuse in Russia. When she exposed the Russian situation, the sport commenced cleaning up the drug cheats. You’d have thought the IOC would have been appreciative, especially against the Olympic Oath all athletes, coaches and administrators supposedly sign up to. Talk about sending out the wrong message. Who could be bothered going into bat for cleaning up sport given the response by Bach and the reception given Robertson. The Bizarre | Almaz Ayana of Ethiopia took the cake for bizarre. The newly crowned Olympic 10,000m champion and world record holder in the form of her life, charged off to jog 30 meters ahead of the 5000m field in an Olympic final, before quietly slipping back to comfortably finish 3rd, and in doing so, fueling conspiracy theories galore. Why it was so bizarre was that after winning the 10,000m way too easily, (in only her second ever race over the distance where she ran her second 5000m some 10 seconds quicker than the Olympic record for the event proper) it looked as if someone had reminded Ayana not to draw too much attention to herself. She’d done that earlier by wiping drug cheat Junxia Wang’s world record of 29:31.78 from the record books, raising eyebrows around the world. When you annihilate one of the most enduring drug induced records in running 29:17.45, of course people are going to be suspicious. What to do? Pretend you’re not too dominant is what you do. Who needs all those questioning eyes, right? The trouble was Ayana’s clumsy execution didn’t fool anyone. It looked ridiculous to see her not trying. She probably should have got DQ’ed for that. So there was plenty of controversy, plenty of drama, and plenty of quality performances in Rio, which is why track is such good drama. I’m already looking forward to next year’s world championships in London where – fingers crossed – I’ll be privileged to farewell Usain Bolt and Mo Farah in front of his adoring home town fans. A Samba Party on the sands of Copacabana. Oh, and the beach volleyball? Glad you reminded me. While there was criticism of empty stadia, not so down on the beach. 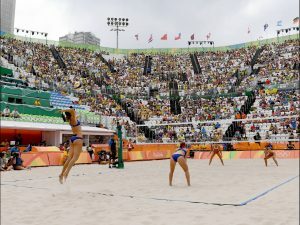 I loved the whole vibe of the beach volleyball. The stands were packed out with color, noise and a samba fuelled party going on complete with dancers. Fun times for all, as well as great action on the sand. People deride this game, but as the crowds proved in Brazil, London and Beijing, it’s a crowd puller. Look out for my novel Spiked sometime around 2018 for a sports story that’s a little off the track and a little on the sand.